Laurencio and Lucy are believers in the congregation. A couple of years ago they came over from Veracruz to be close to Lucy's family. We dedicated their baby boy, Esteban Samuel, in church this morning. 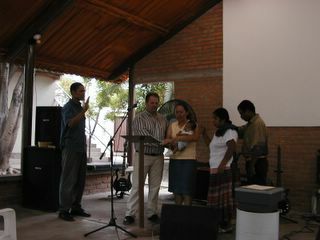 Gena and I were able to pray over him in the dedication.